Whether you’re looking for a healthy, easy meal or an indulgent one-dish dinner to satisfy a sweet-tooth, this delicious acorn squash recipe can be adapted to fulfill your meal needs. 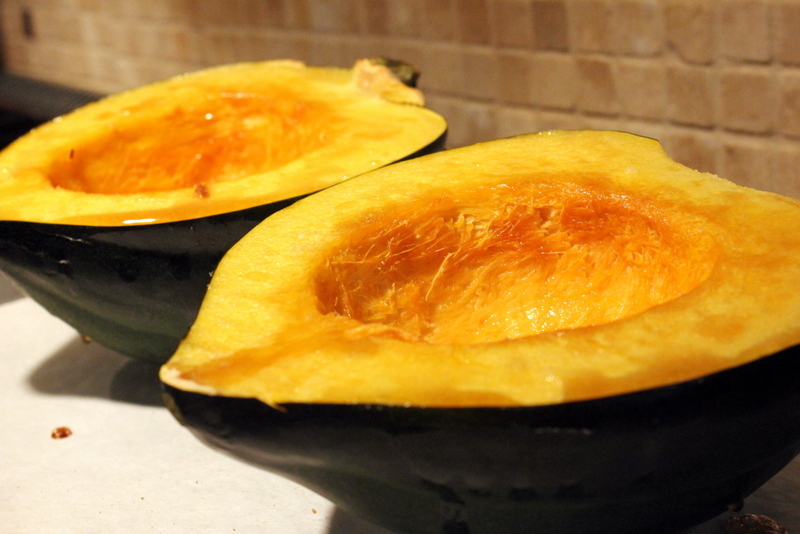 Start with an acorn squash, cut it in half, and scoop out the seeds. If you want to go a little decadent, brush it gently with some melted butter and sprinkle with brown sugar before popping it into a preheated 425 degree oven for about 20 minutes to roast. If healthy is your goal, a little olive oil, salt and pepper will do the trick. 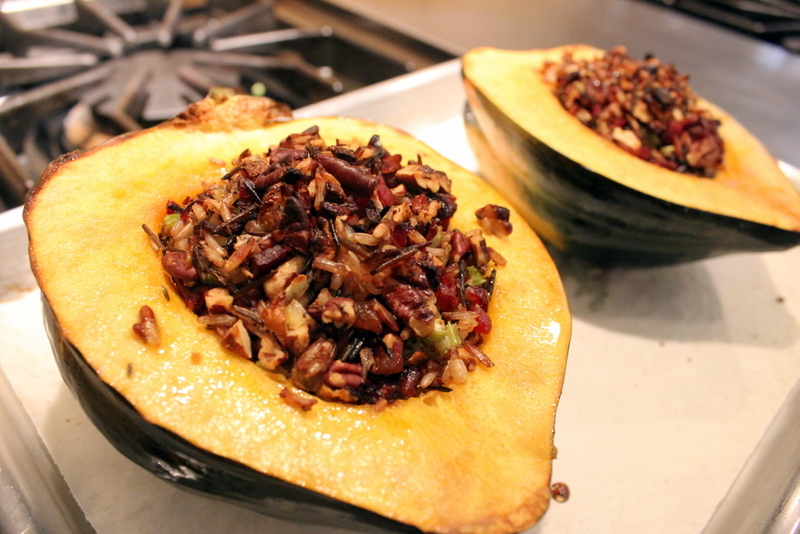 While the squash is roasting, gather together all of the ingredients that will go into the filling. 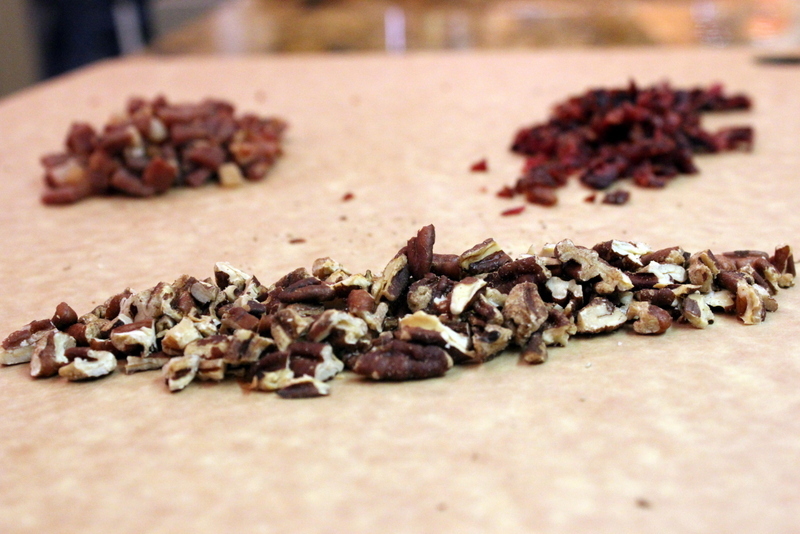 I like to use a wild rice blend, celery and onions, prosciutto, pecans, and cranberries, but you really can’t go wrong; if there’s a veggie, dried fruit or nut you like, go ahead and toss it in! First, you’ll want to dice all your filling ingredients into small pieces so you get a little bit of everything in each bite. 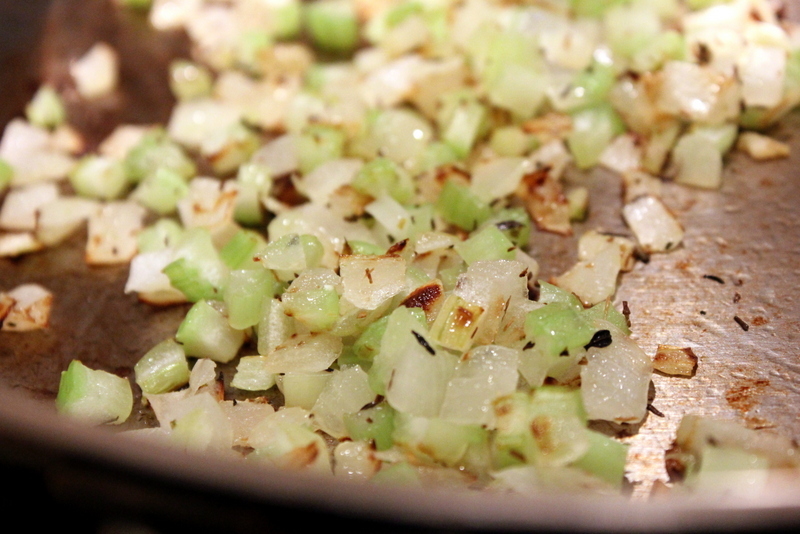 I like to saute the onions and celery with a little bit of thyme before mixing with everything else to soften them up a bit and release some of the natural sugars in the vegetables. Once the acorn squash is done cooking, you can mix your filling together, season it with salt and pepper, and scoop it into each cavity. It’s okay for the stuffing to mound up on top; this way you’ll have enough filling to eat with each bite of squash. Brush with a little more butter (or olive oil) and return to the oven for another 20 minutes or so, until the squash is tender when poked with a fork. You’ll want to dig in right away, but after a good 5 minute rest, you’ll be glad you didn’t burn your tongue. A little rice mixture and a little squash in each bite makes for a flavorful and filling meal. If you’ve got an extra squash half leftover, just reheat it for lunch the next day. Healthy, easy, sweet and one-dish; what’s not to like? !